Ancient Greece was one of the most important periods in the entire history of humans. 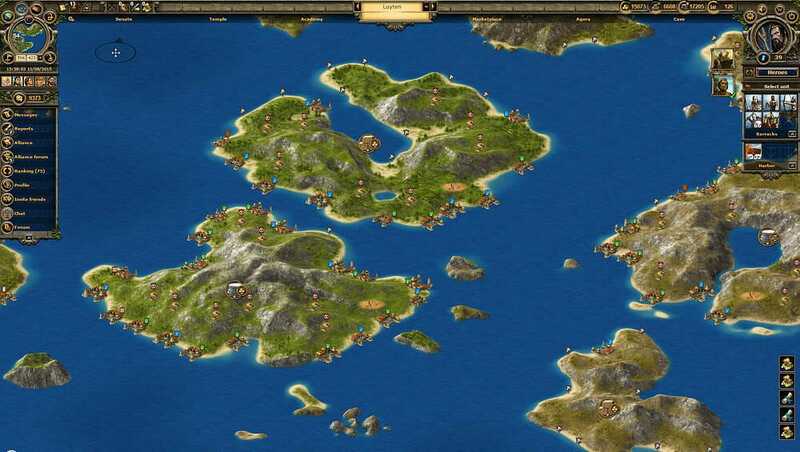 Grepolis – is a browser-based strategy game in the world of the ancient Greeks. This game is authentic not because it has a strong focus on cooperative play and strategy, but also because of Greek Gods and they impact to this game. 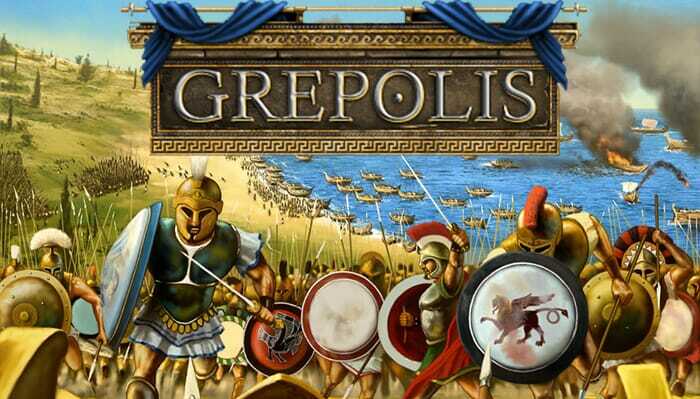 Odysseus, Leonidas, Helen, and other Greek heroes – all these can be found in Grepolis free online game. At the beginning of the game, you have to develop and expand your small Greek town into a powerful metropolis. New players begin a game in a small island. 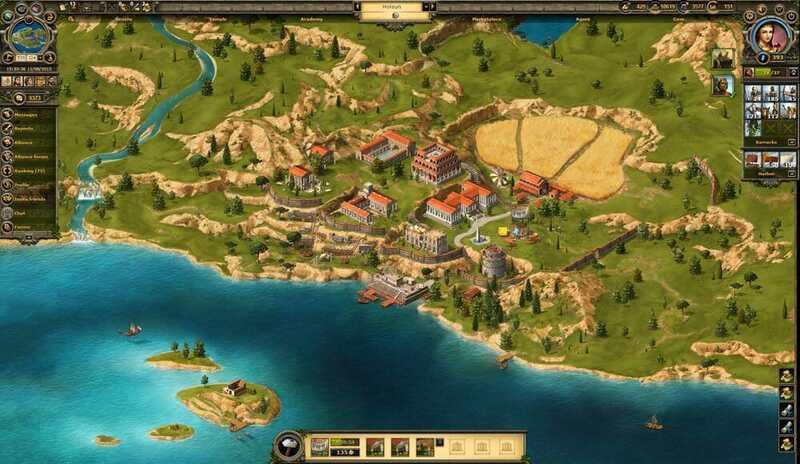 You’ll have to develop not only the economy of your town but also military units as well as mythical heroes with unique abilities, that will help your army to win battles and expand your empire. The expansion is a very important aspect of this strategy game. You will have to use your army and conquer other islands. If you want to win in this game, you will have to develop a strong economy. Greek gods -Zeus, Hera, Athena, Hades, Poseidon, and Artemis – will help you to win not only in war but also in economical level. Building world wonders gives you special bonus points. Every metropolis has a chance to build 13 different buildings and 8 monumental structures. Every building and structure is responsible for improving economic or army units factors. Gods play a very important role in this game. There are 6 gods and every god is unique and helps to reach different results. Zeus – is the most powerful god in Greek mythology. He can destroy units of your enemies and do a lot of harm. Hades – is a ruler of the underground world. He will revive your army units if needed, and also make your army undetected. Poseidon – is a lord of seas. He might be helpful if you want to create new islands and makes the sea calm (and then you can navigate through the sea). Hera – god of families and their protection. Hera will help you to speed up your economy by increasing your resource production speed. Artemis – god of hunting, she will make your furious enemies go to hallucinations. Also, Artemis can increase the aim of distance army units. Athena – lord of wisdom. This goddess will help you to protect your towns from the enemy attacks. If you want to be successful in this game you will have to be smart and always improve your economy and build more army units. One great way to become strong in this game – is to get new friends and build alliances. Joined forces helps you to conquer new lands, attack other strong players with your alliance. You can create your own clan or join other clans. There is a ranking system in this game, that motivates every player to get better and better results. Hall of fame – is a place where every Grepolis player wants to see his name. Only true strategist reach Grepolis hall of fame. Currently, there are more than 430,000 active players. So we can say that this game is pretty popular across strategy gamers. This game was created by a company called InnoGames. They are well-known browser-based games developers. We checked a game log and we can confirm that this game is constantly updated with new features. The graphics of this game is exciting. Even it’s a browser game, the graphics look nice, even the smallest pieces look nice.